Whether you believe in ghosts or not doesnâ? ?t mean others arenâ? ?t intimidated by them. Some cultures believe in ghosts and even respect them. For example the Chinese religion is based on ancestor worship. They believe your ancestors continue to exist after their death, so you must respect ghosts. It is actually a very interesting concept that promotes the unity of family and lineage. -A wandering ghost that wants to take their revenge for a wrongful death. -The ghost of a woman who has committed suicide due to sexual abuse or wrongness. She is vengeful and seeks revenge. -This is the ghost of someone who has drowned but continues living in water. Think of it as a water ghost. They will attack their victims by dragging them underwater and drowning them. Afterwards the ghost will take possession of the victimâ? ?s body. -A headless ghost which roams around blindly. The Maiden in White is a story about a young man who marries a woman. On their wedding day the bride tells him they will be together forever, but she has to go back to her home that night. When the young man walks her to the temple doors she walks away and disappears a hundred feet out. He runs to where he saw her disappear and searches and searches only finding a clump of bright lilies. The young man takes the lilies home and finds the ring he gave her inside the clump. Right then and there he realizes that he had just married a ghost. SheÂ disappearedÂ and the ring fell through the air. Soon after the young man became very ill and within ten days he was dead. In a similar story as the Maiden in White, a man named Zhong Yao begins to be troubled by a girl. He tells heâ? ?s friends that she often comes to visit him. He also appeared very pained, and his friends realized what was happening. They told him that a human was not visiting him, but rather a ghost. They told him that she is harmful and that he must kill her. Although Zhong didnâ? ?t want to kill the girl he knew he would eventually fade into nothingness if he continued to fall for her charms. The dead have the effect of sucking the life out of living people. He made up his mind and he knew she was an evil spirit. On the day she came to visit him, she would not enter the house and told him she knew he wanted to kill her. After much hesitation Zhong picked up his knife and tried killing her. After struggling with her, he cut her leg and she managed to escape. 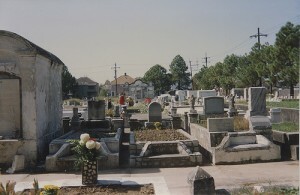 The next day he and his friends followed the trail of blood and it led to a coffin in the cemetery. They dug up the coffin and opened it where a dead beautiful young woman lay. She looked as fresh and alive as when he had seen her. These are some of the scariest ghosts in Asian movies. Although they are not based on true stories, they make real ghosts all the scarier. This movie is the most expensive horror story ever made in China during itâ? ?s time. 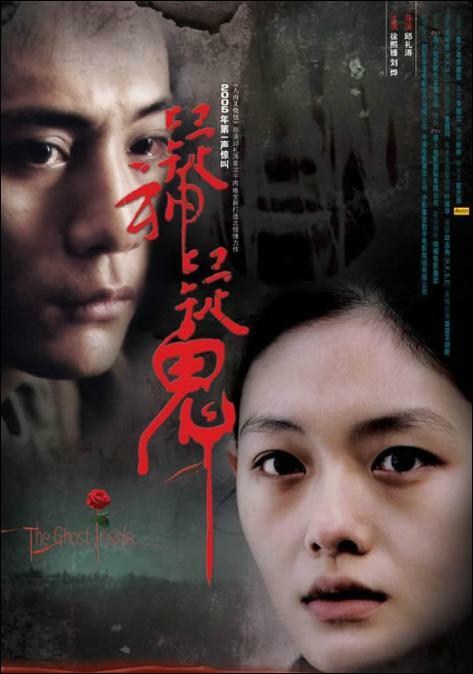 It tells the story of a young mother, Lin Xiaoyue, who runs away from an abusive husband with her young daughter. She rents an apartment where another young mother used to live that threw her daughter out of her window before doing the same thing herself. The ghost slowly reveals itself to Lin and tells her she will one day commit suicide the same way. When Linâ? ?s husband arrives at the apartment late one night, he intends to take Linâ? ?s daughter by force. Lin then considers killing her daughter by throwing her off the balcony to save her from her abusive dad. The ghost encourages Lin to push her off but the police arrive and she is put into a psychiatric institute. This may very well be one of the scariest Asian ghost story. The plot follows a disfigured woman ghost. She had been severely abused by her husband in her lifetime, who had cut her mouth all the way to her cheeks with a pair of scissors. After her death she wondered the streets of her town in a mask and sweeping coat. She would then find a victim and ask them if she looked pretty. If the victim answered that she wasnâ? ?t they would be killed in a horrible way. Read more ancient Asian ghost stories here. I wouldn’t want to run across the lady from Carved! I honestly wouldn’t worry about ghosts or demons roaming the streets but rather the living psychopaths that are dangerous to society. Gives me the chills just thinking about it. Great! The Smiling Woman is included in your selection Octavian. I saw clips of an old version of this movie about this famous Japanese ghost and it looks really scary. I’ve got to try and get that movie. I’ll search around in the local video shops. I think Japanese movies are the scariest as they really are genuinely scared of ghosts, where as in the West we are a little bit more skeptical as to whether they exist or not. Woow! Just checked out the link – not a pretty site 😉 I’ve got to get my hands on this movie in the near future. My personal favourite scary movies are ‘The Ring’, ‘The Grudge’, ‘The Eye’ and for Thai films . . . ‘Twins’ and ‘Pee Chong Air’.